Smith, Donald B.. "Catharine Sutton (Nahneebahwequa)". The Canadian Encyclopedia, 22 March 2018, Historica Canada. https://www.thecanadianencyclopedia.ca/en/article/catherine-sutton. Accessed 20 April 2019. Catharine Sutton (née Sonego or Sunegoo) (sometimes spelled Catherine, also known as Nahnee, Nahneebahwequa and Upright Woman), Anishinaabe (Mississauga) writer, Methodist missionary and political advocate (born 1824 in the Credit River flats, Upper Canada; died 26 September 1865 in Sarawak Township, Grey County, Canada West). Catharine Sutton was as an advocate for her people during a time when the cultural, political and economic rights of Indigenous peoples in Canada were formally eroded by assimilationist policies. Catharine Sutton’s birth name was Nahneebahwequa (also spelled Nahnebahnwequay), a name given to her by an Ojibwa elder who had dreamed of it. Ojibwa customs and traditional ways of life were important parts of Catharine’s upbringing. As a young girl, she helped her mother, Molly (also called Polly or Mary) Crane (Otter Clan), in herbal medicine and remedies. 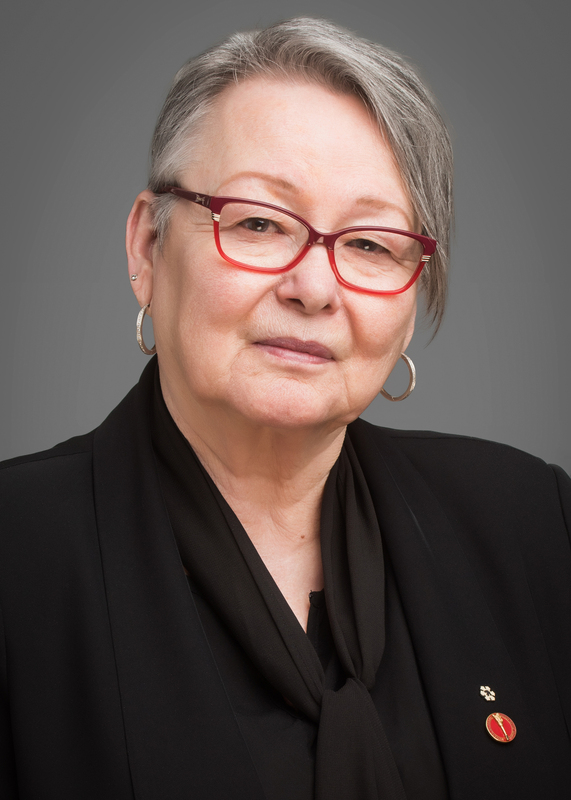 She also shared a close connection to her maternal grandmother, who bestowed her with knowledge of Ojibwa rights and traditions. From the age of two, Catharine lived in the Credit Mission, a settlement of about 200 Ojibwa people converted to Christianity (Methodism) and missionaries, interpreters and teachers. Catharine’s father, Bunch Sunegoo, was an early convert to Christianity. He was born in 1804 and was a member of the Eagle Clan, the largest clan of the Credit Mission Mississauga. As a child, Catharine lost most of her siblings to disease, and one to drowning. Her only surviving sibling, Mary, was born when she was 18 years old, in 1842. In an era before vaccinations, sickness and epidemics were common among the people living in the Credit Mission. Moreover, contagious diseases brought over from Europe, and to which Indigenous peoples had no resistance, decimated Indigenous populations across North America after the period of contact. Disillusioned by the death of his children, and what he saw as the false promises of Christianity, Bunch Sunegoo began drinking alcohol heavily. His wife, however, remained a devout and engaged pillar of her family, community and the Methodist mission. Catharine Sutton shared a close bond with her uncle, Peter Jones (also known as Kahkewaquonaby in the Ojibwa language), who was the first Methodist Minister of the Ojibwa people. Like Catharine, Peter lived at the Credit Mission with his British wife, Eliza Jones, after they wed in 1833. Unable to have children of her own, Eliza developed a maternal closeness to girls in the village, including a young Catharine. When Catharine was 13, with her parents’ permission, she joined the Jones couple on a missionary trip across the Atlantic. The trio stayed for a year in Lambeth, England, where Peter carried out advocacy and fundraising works for Christian missions. During this time, Peter also filed a petition with the British Crown to have the lands on which the Credit Mission stood legally transferred to the mission. Despite his meeting with Queen Victoria in September 1838, the petition ultimately failed. Catharine did not enjoy the weather in England, and returned to Upper Canada before the Jones couple, in 1839. However, this early missionary trip arguably helped Catharine settle into her role as an advocate. Immersed in English society and culture, Catharine later transferred this knowledge into strategic self-confidence while fighting for Indigenous rights. After returning to the Credit Mission, Catharine married an English Methodist and shoemaker, originally from Lincolnshire, England — William Sutton. An ally to Peter Jones, William was not Indigenous, but expressed a deep interest in the welfare of Indigenous peoples. He and Catharine had eight children together: Joseph, Catharine, Sophia, Wesley, Margaret, Alsop, Ainsley and Christine. Catharine Sutton became a leader in a Methodist teaching initiative around the age of 20, and led a group of women in weekly prayer and Christian guidance. She also spoke at a ceremonial fest that concluded a camp meeting near the Credit Mission in 1844. After having been denied title access by the Crown to the lands on which the mission stood, the Credit Mission decided to move. The Sutton family, including Catharine’s widowed mother, Polly Crane, and her three-year-old sister Mary, left for the Saugeen Peninsula in the winter of 1846. Leaving their home was difficult, but the Sutton family had hopes of securing new lands for the benefit of future generations. To improve their numbers, the Nawash Ojibwa had promised the Credit Ojibwa and their heirs lawfully deeded land near Georgian Bay. The Suttons were one of only three families who took the offer, with other Credit Ojibwa choosing to merge with the Grand River Haudenosaunee at a settlement closer to the Credit Mission, known as New Mission. By June 1847, the Suttons had settled in the Saugeen Peninsula. Catharine and William undertook the labour-intensive activity of homesteading and farming their 200 acres, where they also built a home. During this time, Polly married again, and welcomed two more children. Polly and her husband, Joseph Kaikaike, settled on the Sutton’s parcel of land. Catharine became ill in the winter of 1848. Although she recovered, the harshness and isolation of life in the Saugeen territory proved too much for the family, and they relocated closer to the village of Nawash in 1852. The family was accepted by the Nawash Ojibwa and collected annuities from the band. The same year, the family was asked to support a Methodist mission in the north, and the Suttons moved to a settlement close to Sault Ste. Marie. This was short-lived, as it proved difficult for William to secure reliable employment. The following two years saw the family relocate to a Methodist mission in Shawville, Michigan, where Catharine was employed as an interpreter for the missionaries. When the Sutton family returned to the Owen Sound area in 1857, they found themselves in crisis — their land was being sold by the federal government after some band members signed a treaty that surrendered their Aboriginal title. (See also Treaties with Indigenous Peoples in Canada.) Some Ojibwa people contended that the band members who signed the agreement were not authorized to act in this capacity. Sutton and her family no longer had rights to the land they once claimed as home. While the Indian Department initially made concessions to some Ojibwa people who wanted to retain their farms, including the Suttons, offering to sell them their land parcels at a reduced price, they eventually went back on this promise and withheld the certificates of sale, arguing that they were minors under the law, and did not have the legal right to buy their own land from the Government of Canada. Indian Department officials attempted to strike a bargain with the Suttons, offering to suspend the repossession of their farm if Catharine paid a reduced rate to purchase it, and agreed to acknowledge that her 200 acres of land was granted to her by the Nawash illegally. With the support of family members and the community, Catharine refused the department’s offer. The Indian Department also decided that since Catharine had married a white man, she and her children were not legally considered Indians. A letter from the Indian Department in 1859 informed the Sutton family that they would be dispossessed of future financial claims to the Nawash band, and regarded as “white” by the government. 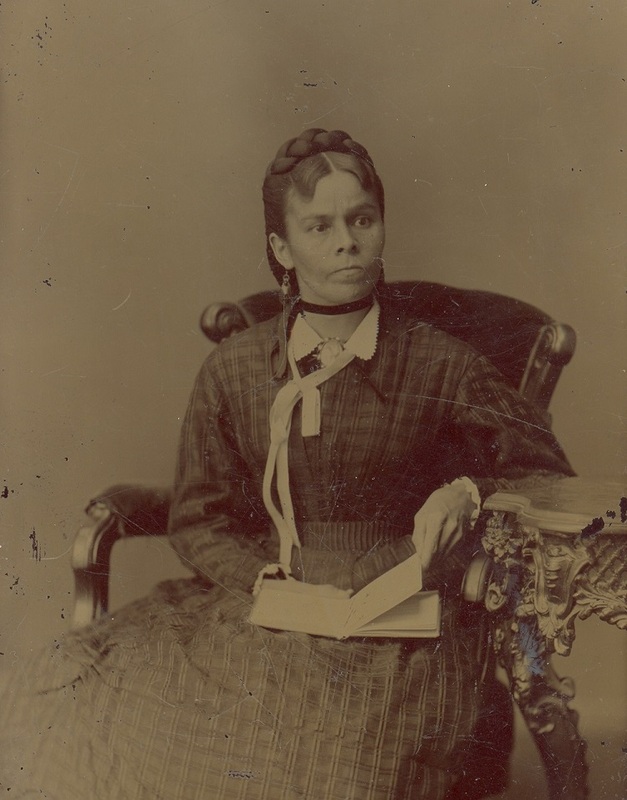 Using her talents as a writer, Catharine responded to the government in March of 1861 by passionately protesting what she felt to be a trespass of her rights, stating that, “…the department has made this excuse for robbing me and my children of our birthright, which I inherited from my forefathers before the white man ever set foot on our shores.” In this letter, Catharine also drew attention to the fact that the Indian Department’s new rule was, at the time, being applied inconsistently to various Indigenous women who married white men, and accused officials of using her case as an unfair and arbitrary experiment in annuity disqualification. Upset with federal government’s treatment of her and her people, Catharine proceeded to take her case to a higher power — the British Crown. A polished speaker, her community appointed Catharine as an envoy to represent her people with a petition to the Crown in 1859. Catharine’s trip was noted in newspapers of the time, and she received notoriety and sympathy from the Quakers of New York State, whom she met with as she crossed the continent on her way to the shores of the Atlantic Ocean. Members of this community offered moral and financial support for her cause, and facilitated her meetings with English Quakers once she arrived in England. When Catharine met Queen Victoria on 19 June 1860, she sought to clarify the dignified nature of her people, who, Catharine argued, ought to have the right to legally own their land, and observe their cultural customs. In the face of adversity, she continued as an Indigenous advocate by advising other bands of their political and legal rights, and creating written documentation of her people’s grievances and struggles at the hands of the government. In 1861, the Indian Department permitted Catharine's husband, William Sutton, to purchase the family’s farm, which resided on land given to her in 1845. While the Sutton family may have had some justice in this case, other Indigenous families still fought to have their title to traditional lands recognized. Catharine Sutton’s health declined after the birth of her last child in 1864. She died of an asthma attack in September 1865. Though she was only 41 at the time, her legacy lived on in the community for many years. Her husband continued to reside on their farm for many decades after his wife passed, and never remarried. He served the community as a Methodist lay preacher until his death. Catharine Sutton fought for Indigenous rights during a time when assimilationist policies and programs deprived Indigenous peoples of their traditional lands and customs. A proud Ojibwa woman who treasured her cultural heritage, the legacy of the “Upright Woman” lives on among her people. Donald Smith, “Upright Woman: Catharine Sutton, or Nahnebahnwequay, ‘Nahnee’ (1824–1865),” Mississauga Portraits: Ojibwe Voices from Nineteenth-century Canada (2013). Celia Haig-Brown, “Seeking Honest Justice in a Land of Strangers: Nahnebahwequa’s Struggle for Land,” Journal of Canadian Studies Vol. 36, No. 4 (2002): 143-170.